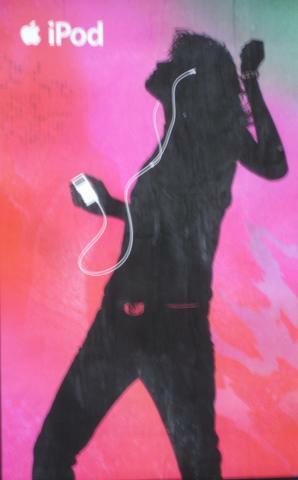 Did you ever wonder if the silhouettes that advertised IPODS on Bay Area billboards were real people–and if they were real, who are they? I can now reveal that the silhouettes ARE real people. Recently I had lunch with friends whose beautiful young daughter, Christiana, told me that her friend from New York, Martin, is one of the silhouettes. (See Martin below). Christiana told me that Martin is a model, an outstanding dresser with extraordinary looks who was “discovered” walking down the street in New York City–and signed up for Apple’s IPOD advertising campaign. So, what does that make me? Two degrees of separation from Martin?